Ellen Gleditsch began her long career in chemistry as Marie Curie's assistant but quickly grew to prominence in her own right. She pioneered the field of chemical radioactivity, becoming one of the first specialists. Gleditsch established the half-life of radium and aided in proving the existence of isotopes. In addition, Gleditsch was in contact with many prominent scientists of the time, and her friendship and work connected them all. Ellen Gleditsch was born on December 29, 1879, in Mandal, Norway, the first of ten children born to Karl Kristian Gleditsch, a teacher, and Petra Birgitte (Hansen) Gleditsch. Although poor, the Gleditsch family was an exceptionally happy and close one. Both Karl and Petra were intellectual and politically liberal. The children were exposed to cultural, musical, and natural activities in addition to their regular studies. Gleditsch's mother was an advocate of women's rights. Gleditsch graduated from high school in 1895 as vale-dictorian, with her highest grades in science and mathematics. She could not enter the university because it was not open to women at the time, so she began training as a pharmacologist in Tromso, and completed her nonacademic degree in pharmacology in 1902. Because her studies involved chemistry and her degree qualified her to take courses at Oslo University, chemist Eyvind Bodtker invited her to study at the university laboratory. In 1903, she was an assistant in the chemistry lab, and in 1906 she was permitted to take the university entrance exam, which she passed. Bodtker, who became a lifelong friend—as did most who came into contact with sociable Gleditsch—suggested she continue her training at Marie Curie's laboratory in Paris and personally saw to her appointment there in 1907. Gleditsch received a grant from philanthropic funds made available by Josephine, the dowager queen of Norway and Sweden, for her Paris studies. Although students normally paid to work in Curie's laboratory, Curie needed a chemist and gave Gleditsch responsibility for purifying radium salts in exchange for exemption from fees. Curie also asked Gleditsch to help her reproduce a recent study in which British scientists claimed that copper changed to lithium when exposed to radium, a study Curie doubted. Their findings did, indeed, prove the first study wrong. Gleditsch worked closely with Curie and became a family friend to Curie and her children. Most of her work in Curie's lab involved analyzing uranium and radium in radioactive minerals. Gleditsch returned to Norway periodically to visit her family and, in 1912, returned to stay after receiving her Licencee as Sciences from La Sorbonne in Paris. She was offered a fellowship at the University of Oslo, where she supervised the laboratory and lectured on radioactivity. The university's most experienced radiochemist, she continued her study of radium's half-life, but became discouraged by isolation and the lack of equipment. Hope for better opportunities came in 1913 in the form of a scholarship from the American-Scandinavian Foundation to study the United States. That same year, both her parents and a brother died within weeks of each other and Gleditsch then took in two of her brothers to care for them. In 1914 Gleditsch wrote to Theodore Lymann at Harvard and Bertram Boltwood at Yale, asking to work in their laboratories. Lymann informed her that no woman had ever worked in his lab and he did not intend to change that. Boltwood was more polite, trying to discourage her with claims of minimal space. Undeterred, Gleditsch went to Yale anyway and spent a year there where she established the half-life of radium: 1,686 years. Her number remained the standard for many years until it was adjusted to 1,620 years. Half-life refers to the amount of time it takes for half the atoms of a radioactive substance to decay, or decrease in amount. Measuring the half-life of radium was important in the study of radioactivity because it could be used as a constant to study other elements. This work brought her acclaim and respect in the scientific community. Smith College awarded her an honorary Doctor of Science degree, and Lyman changed his mind about having women in his lab. Boltwood even helped her to publish her results in the American Journal of Science. Gleditsch's other significant contribution to chemistry was her part in confirming the existence of isotopes. Isotopes are two or more atoms of an element that have the same atomic number and chemical behavior, but different atomic mass and physical properties. British chemist Frederick Soddy had suggested that an element's atoms could have different atomic weights, but most scientists maintained that atomic weight was fixed within an atom and evidence otherwise was hard to find. American chemist Theodore Richards was considered the expert in the field at the time, so like many other scientists trying to prove the existence of isotopes, Gleditsch sent a lead sample to him to analyze. Gleditsch's sample was so free of errors that it was the only one that proved the existence of isotopes. Her work finally gained her respect and she was appointed a reader in chemistry at the University of Oslo in 1916. Although it was not a tenure track position, it was an improvement over the low-paying fellowship she had before. In 1917, Gleditsch coauthored two chemistry textbooks, one of which was the first of its kind written by Scandinavians. That same year, she became a member of Oslo's Academy of Science, only the second woman to be elected. Gleditsch was always active in promoting the reputation of women in academics. 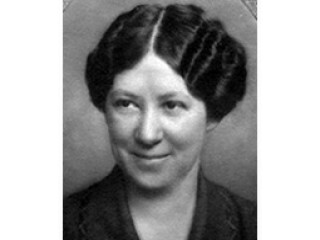 In 1919, Gleditsch cofounded the Norwegian Women Academics Association, for which she acted as president from 1924 to 1928. She also served as president of the International Federation of University Women from 1926 to 1929, a position that allowed her to travel and lecture extensively. She began a radio lecture series and wrote biographies and research papers in several languages, in order to keep the public and other scientists informed in scientific research and breakthroughs. During the 1920s Gleditsch also traveled to Curie's laboratory many times to supervise experiments and once the entire lab while Curie was in South America. Gleditsch continued her isotope research during this time, sometimes working with her chemist sister. She published a book on isotopes which was translated into English and sold so well it had to be reprinted in a year after its publication. In 1929, the University of Oslo finally appointed her professor of chemistry, making her only the second woman at Oslo to be appointed to that level. During the 1930s, Gleditsch began work at a new laboratory she had helped to plan. Soon after, the Nazis came into power. Gleditsch, always the "mother," took in her brother's child during the war and offered her laboratory space in Oslo as a kind of "safe house" for scientists, including Marietta Blau, who were fleeing Nazi persecution in other countries. By 1940, Norway was under German occupation as well. Even though part of the university had been taken control of by Nazis, Gleditsch continued her work. She and a few of her colleagues secretly became "guerrilla scientists," working with an underground organization to defy Nazi power. Gleditsch aided the university community, sometimes hiding people in her own home. They planted gardens because food was scarce, and took turns guarding them from thieves. She went undercover, pretending to be a needleworker making national costumes, so she could relay messages to people about the underground resistance movement. In 1943, the laboratory was raided by the Germans, and all of the men were arrested. Gleditsch and the other women worked quickly to clear the lab of anything valuable, and Gleditsch hid valuable minerals in a suitcase under her bed. When she was finally arrested, her scientific knowledge and fluent German helped her to negotiate her release. After the war and her retirement, Gleditsch worked for the newly established United Nations organization UNESCO, only to resign several years later in protest to fascist Spain becoming a member. She was granted an honorary doctorate by the University of Strasbourg in 1948 and by La Sorbonne in 1962. She was the first woman to receive the award at La Sorbonne, and it was her proudest achievement. After her retirement, Gleditsch continued her research and wrote papers on scientific history. She still kept an office at the laboratory and continued to advise and inspire students. She gave a dinner party at her country house for her students less than a week before her death of a stroke on June 5, 1968. That same year, the Ellen Gleditsch Scholarship Foundation was established in Norway to support aspiring scientists in their educations. View the full website biography of Ellen Gleditsch.